The starting point of all achievements is the ‘desire to excel’. 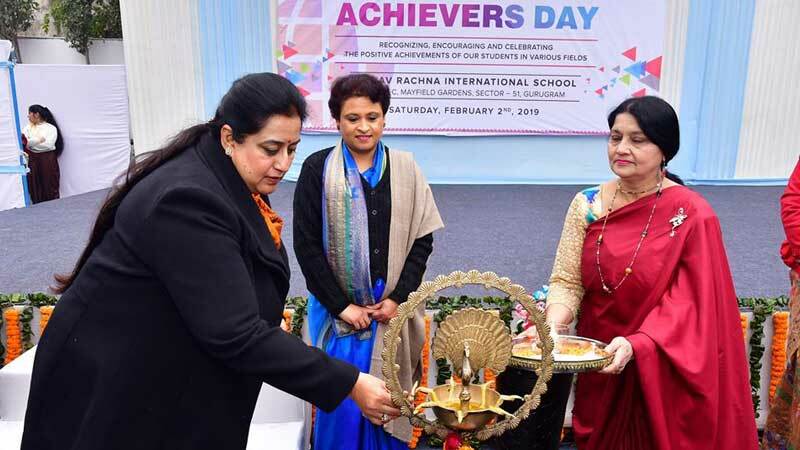 And, Manav Rachna International School (MRIS), Mayfield Gardens, Sector 51, Gurugram takes pride in mentoring and fueling the ambitions of its students to reach the zenith. 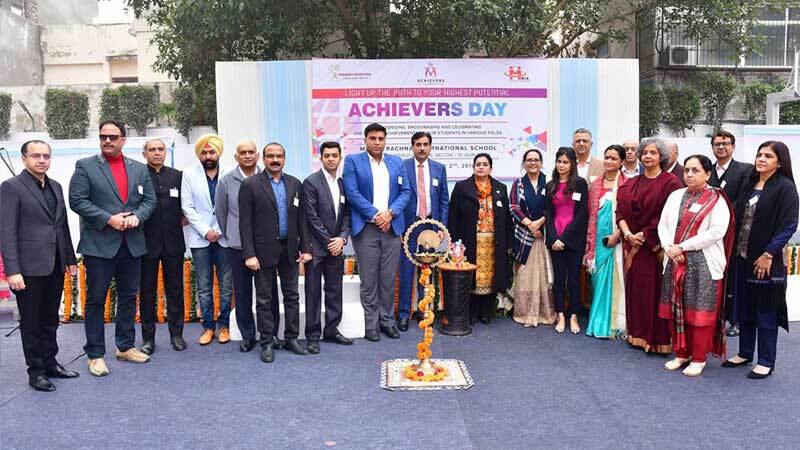 Twelve students of the school were felicitated today at a grand ‘AchieversDay’ ceremony which was presided over by a galaxy of dignitaries including Ms. Kumud Gugnani, Additional District Judge; Ms. Avanti Birla, Founder, CK Hospital for Women; Mr. Nishant Gupta, National Campaign Manager, Hyundai Motors; Dr. T.J. Antony, Director and HOD, Neonatology, Fortis Hospital; Mr. Manmohan Krishan Dang, Advocate, Gurugram; Mr. Ronjan Sodhi, Olympian, Rajiv Gandhi Khel Ratna Awardee; Mr. Sachin Bhamba, CMD and Founder, SPACE; Mr. Rajkumar Sangwan, Arjuna Award Winner; Mr. Karan Bindra, Former Golf Pro and Head Coach DLF Golf & Country Club; Mr. Rajesh Kalra, Chairman, MRIS 51; Mr. Gaurav Rai, Executive Director, MRIS 51; Ms. Sanyogita Sharma, Director-MRIS; and Ms. Pooja Puri, Principal, MRIS 51. And, innovation knows no age! This was aptly reflected in the fact that the achievers felicitated today were as young as 7 years (Grade 2)! 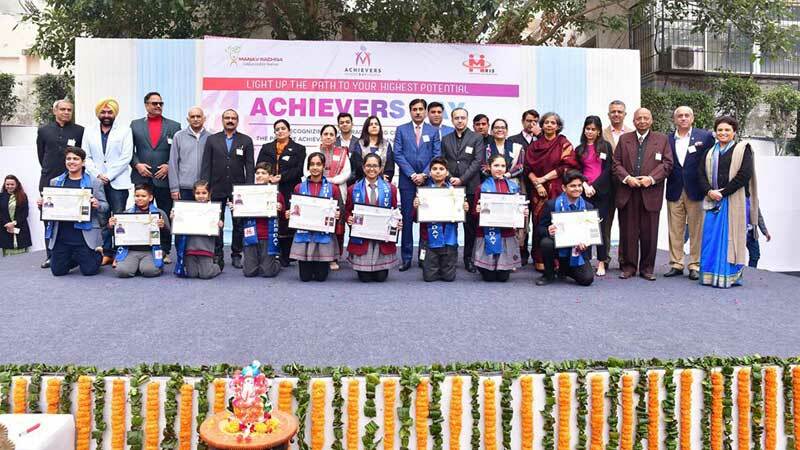 These students (in the age group of 7-13 years) were felicitated for their National and International level achievements, both in scholastic and co-scholastic areas. These included achievements in various fields like Under 8, Kids Golf Word Championship, First International Rank in English Olympiads, Provisional Asteroids discovery and Near Earth Object Discovery by All India Asteroid Search Campaign conducted by space in collaboration with IASC, 9 th Position at XXIII Haryana State Junior Chess Championship, 3rd Position at 32 nd Haryana State Roller Skating Championship, 2 nd Position in Basketball Championship in state level U14 years, 1st Position at 64th National School Games Rifle Shooting boys U14 in 177 Air Pistol shooting , 11 th Position at Microsoft India Junior Championship and Top 8 Winner in India’s First and most Unique Brilliant Kids Motor Show By Hyundai for designing eco-friendly Car Designing. Congratulations Achievers! The school is super proud of you!